Summary: I propose that CCDS, as an organization consciously and intentionally promoting democracy and socialism through corresponding our ideas and concerns with the public, recognize that the potential for the existence and growth of these values and goals requires the prevention of a Climate Change Catastrophe (CCC). Of all the “tipping points” we face, the creation of a mass movement able to demand prevention is primary. Since the imperative to prevent CCC is not yet a public demand, CCDS has the opportunity to act now and provide leadership by putting out a clear stance that CCC must be prevented. Our past position statements echoed much of what progressives agreed upon. This time we have an opportunity and responsibility to lead. Prevention, once understood, can provide a clear goal that people can demand of their leaders, organizations and governments to act upon. We in CCDS are neither the primary researchers or planners for the recovery, but we do have ability and possibility of collectively putting forward a vital idea that is as yet missing from the public awareness and even the calls of the environmental movement; that the coming CCC must be prevented! Not adjusted to, accepted, ignored or put on others to solve, but consciously targeted as the overriding threat to us all. 1. Science says climate change is happening and a series of crises loom. 2. Climate change tipping points and deadlines are being recognized and studied, but not yet part of any plan sufficient to prevent CCC. 3. Most people still think in terms of global warming, and are insufficiently involved, dealing with personal matters or avoiding the issue. 4. Environmentalists say we must do more, but are not clearly calling for prevention. 5. The press is still equivocating and often misinforming the public. 6. Worldwide concern with global warming is growing, but not in crisis mode. 7. The idea of preventing CCC and consequence of failure is generally missing and often avoided. 8. Concepts are changing; global warming giving way to crisis and now including climate change, catastrophe is still not addressed seriously. 9. Progress has been made by bourgeois leaders such as Tony Blair and his Stern report, local government actions and regional meetings, but not clearly warning and involving the public. Why is it imperative to call for prevention now? $ It is no longer just a matter of some warming, but a looming CCC. $ It is not just that it will cost us more if we don’t prevent the CCC, but a irreversible and unimaginable destruction of life and environment. $ It is not just a matter of adjusting our life styles, but of preserving life and all that is important to us and our cultures. $ It is not just a matter of something happening to people elsewhere, but a catastrophe that will affect the whole world. $ It is not something we can deal with later, since we have less time than we thought and don’t know if we will have enough time anyway. $ It is not just a matter of more evidence, the evidence is already here. $ It is not a matter best left up to governments, they have already shown they will do too little, too late, and they are not being responsible to the people’s welfare in this most threatening crisis. $ It is not something the environmental movement will do for us, the us has to be a mass movement involving all of us and pressing environmentalists and leaders everywhere to act to prevent the CCC. $ It is not later, it is now, and maybe we are already too late, but now is what we have. $ It is time for us to act, to all agree whether we want to try to prevent CCC or not. $ It is not just another challenge we can somehow survive, this threat is truly different and irreparable. We dare not avoid the idea of prevention if we are to have the choice to survive. What concretely will prevent CCC? 1. Rapid creation of a renewable energy infrastructure in the U.S. and the world, consisting of concentrated solar collection in arid regions such as the Sahara, great expansion of wind power, tidal and wave power, photovoltaics. 2. Similarly, the rapid conversion of fossil-fuel intensive industrial agriculture to agro-ecological farming. 3. The required resources must come from a radical demilitarization of the US and global economies, an end to the Imperial Project that feed oil/coal addiction and resource wars. CCDS, right now, can make a real contribution. Imagine if Fidel’s bedside statement, little reported except in Latin American press, was being echoed by governments, leaders, groups and public movements. We have the moral obligation, the imperative and an opportunity to help prevent CCC. So CCDS along with others can help put this crucial and necessary idea out where it can’t be ignored and has a chance to be addressed as the primary question facing the world’s people. But will we and others be able to act soon enough? If we agree that there needs to be a worldwide mass movement o prevent CCC, then we can and should add our understanding of how a CCC will impact socialism and democracy, the people, progressives, the flora and fauna and yes, the gains, social and revolutionary we have and yet could make. So do we allow the tragedy that neglect and exploitation created be our legacy or do show that we can meet this challenge and save ourselves and our planet? $ Leadership. That honestly listens and informs the public and take on this responsibility. $ Deadlines. How much time we have realistically before the first and subsequent tipping points? $ Methodology. What do we need to do to safely not reach these tipping point(s)? $ Progress reporting. How well are we doing, now and as we proceed? $ Accountability. How we can verify the progress and affect the outcome? $ A comprehensive and responsive plan. That is designed to succeed? And to achieve these things, we need a world wide movement aimed at preventing CCC. Building this movement faces massive denial, avoidance, superstitions, institutional barriers, lousy leadership, futility and ignorance and therefore the pressure for effective action must come from masses of people which forces leaders and governments to act as needed. Building an unprecedented mass movement to force this reconversion will require a convergence of the peace, justice and environmental movements in the U.S. and transnational solidarity. 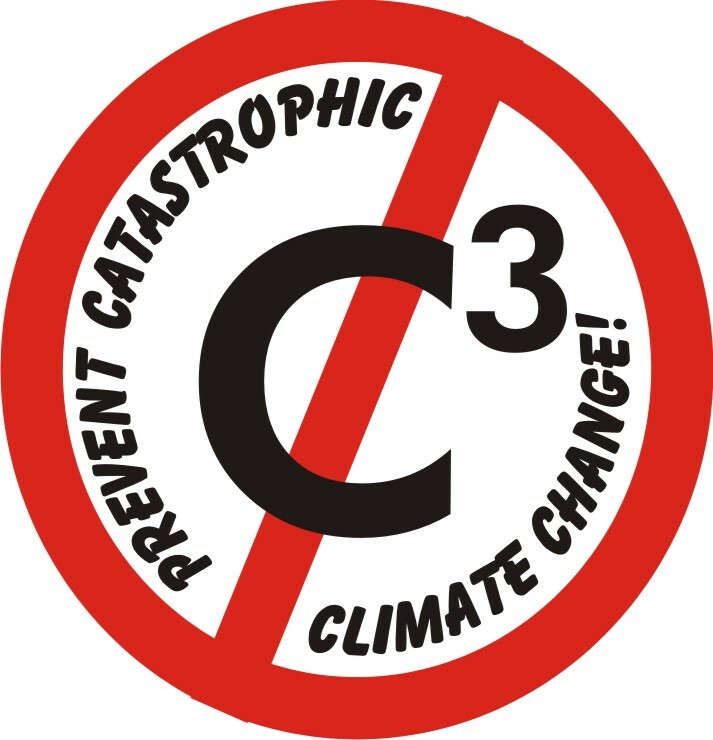 CCC will only be prioritized when the progressive political agenda links up the cause of CCC, fossil fuel addiction to its immediate negative impacts (e.g., air pollution, massive environmental destruction from fossil fuel extraction, health and ecological impacts of industrial agriculture) and highlights the huge job-creating potential of reconversion. This linkage needs to be integrated into the progressive political agenda at every level from the global to the local. It is primarily a political question of what it will take to make the danger as clear as the movie asteroids that mobilized the world to act for survivals sake. 1. Call for a worldwide recognition of the necessity to prevent a Climate Change Catastrophe. 2. Call for the quick development of best possible deadlines and what is needed to meet them. 3. Based on the best science available, call for the development of a worldwide plan sufficient to prevent Climate Change Catastrophe. 4. Call for all leaders to speak up, give direction and take all necessary actions to prevent a Climate Change Catastrophe. 5. And demand that we the people, be fully informed of the threats and progress in preventing the catastrophe. 6. Call for all other progressive organizations, leaders and movements to join in this effort. 7. Call on the US Congress to hold emergency hearings on preventing Climate Change Catastrophe. Proposal presented Walter Teague to the NCC of CCDS and passed on 12/2/2006. 1. Global Warming People of Color are at Risk, Carl Bloice, The Black Commentator. 9. President Fidel Castro calls for prevention of a "'catástrofe' for humanity” on 10/30/2006. President Fidel Castro, speaking from his hospital room and clearly aware of the climate crisis, warned "I feel the obligation - as we all should - to make a special effort to avert a fatal 'catástrofe' for humanity. "Reported worldwide in Spanish. Reposted on 04-22-2014 from archives. This proposal was passed by the NCC of CCDS on 12-02-2006.